ALBUQUERQUE, N.M. (AP) — An autopsy report confirmed Wednesday that an 8-year-old Guatemalan boy who died while in custody of the U.S. Border Patrol on Christmas Eve succumbed to a flu infection — one of two deaths of Central American children in December that drew attention to the plight of migrant families at the southern border. An autopsy released last week for 7-year-old Jakelin Caal Maquin, the other Guatemalan child who died, showed she, too, had a bacterial infection that quickly led to sepsis and organ failure. Their deaths, just over two weeks apart, spurred questions about Border Patrol's ability to care for children at a time when the number of families crossing into the United States has climbed to record highs. In recent months, the government's system for detaining migrants crossing the border has become severely overtaxed, pushing it to a breaking point. 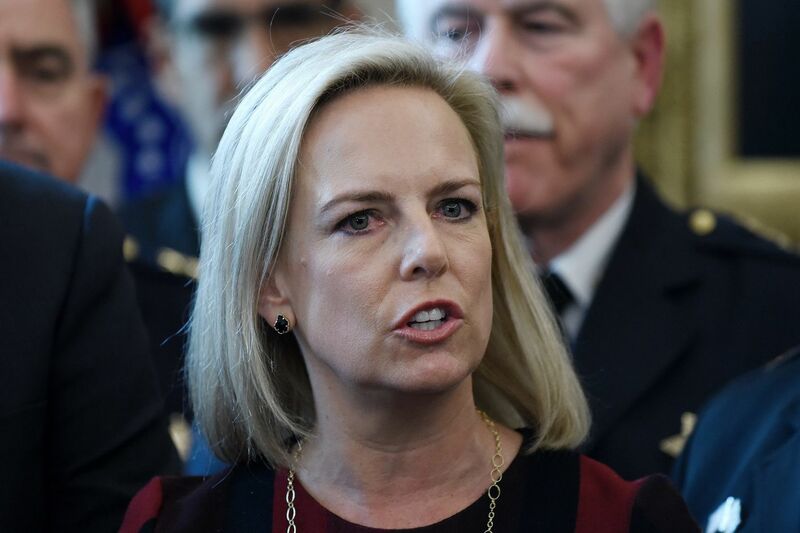 She visited El Paso, Texas, on Wednesday, marking her first stop on a border tour aimed at assessing the surge of migrants and the department's response. Once in Border Patrol's custody, Gomez Alonzo and his father were taken to several facilities including the processing center at the Paso del Norte port of entry, then the El Paso Border Patrol station. Just after 1 a.m., the two were transferred 90 miles to the Border Patrol station at Alamogordo, N.M. CBP said it moved them there “because of capacity levels” in El Paso. The other Guatemalan child, Jakelin Caal Maquin, died Dec. 8 in El Paso, just over a day after she was apprehended by Border Patrol agents with her father after entering the U.S. illegally.